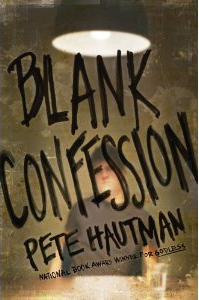 Given that Pete Hautman won a National Book Award for his book Godless, I picked up his latest work, Blank Confession, with high expectations. I was very disappointed. I have to give the book some credit though, since it did keep me interested enough to finish. I’ll even admit I liked it at first. The description on the back introduces the reader to a mysterious teenage character, Shayne Blank, who confesses to a murder, creating more questions than it solves. 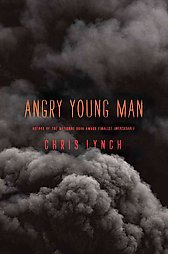 Most importantly, “Who is this boy?” The concept was great, but the rest of the book’s elements didn’t do it justice. I had one thought that would have made the whole book better–had the entire novel been set in the interview room, it would have helped add suspense while retaining the mystery surrounding Shayne. Why not just bring Mikey and the other characters there, too? That would eliminate all the hints Mikey drops about the ending, and make it easier to hide the surprise. As much as this book didn’t work for me, there are things I appreciated. It was clear that Hautman did his research; he created very believable lives for the teenage characters. I saw definite clichés that made a lot of the plot predictable, but some moments seemed very real. I’d recommend this book to middle school/early high school readers looking for a summer read that isn’t too complicated, but still somewhat enjoyable. Sound like your kind of book? You can purchase it through Amazon HERE. From cover to cover, Brain Jack is a healthy dose of refreshment. Sam, a high school senior and self-taught computer hacker, lands a job with the government’s Cyber Defense Division. The next technological leap brings on neuro-headsets, which enable users to browse the Internet with the power of their minds. Unexpectedly, Sam’s dream job becomes a nightmare when the public’s best friend turns out to be the government’s worst enemy. I found this book to be exciting! In a similar way to M.T. Anderson’s Feed, Falkner used the near-future setting as a canvas for a horrifying technological scenario, which made the story feel surreal. Though not probable, many of the story’s events are possible. I could tell that the author put some serious effort into creating a realistic, believable universe. The little details provided while discussing, for example, the issues of game addiction, terrorism, and more sophisticated cyber defense systems helped hold everything together. It got me thinking about a lot of things I don’t normally think about. Teen fiction needs more of that! 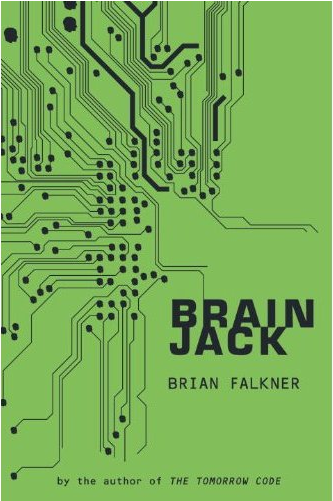 I’d recommend this book to high school readers, since it contains a large amount of “computer-speak.” Falkner did a great job of explaining unfamiliar or uncommon terms and planting context clues, though sometimes it was a little much. Younger kids may find it difficult to relate to some of the characters (though they were wonderfully fleshed out and developed). For a 300-plus-page book, this was a fast read, but I had to be sure to read it thoroughly. Every detail was important, keeping me focused and into it. I don’t know if it was intentional, but I enjoyed finding allegorical meaning in some parts of the book. I think it’s safe to say that the stories in most teen novels aren’t allegories, so when I started finding a deeper meaning I got excited! It’s just my interpretation, but I believe the issues explored in the story represent the Internet, and more specifically, social networking. Instant teen appeal, right? All the time the Internet becomes more social, gets more information, and therefore is, essentially, a collective intelligence of its own. We, as users, are a part of it, but it’s a resource rather than a part of ourselves. Though fictional (for now), the concept of neuro-headsets represents the next step in our information-hungry future, where having the world at our fingertips isn’t enough. Sound good? You buy it at Amazon HERE.